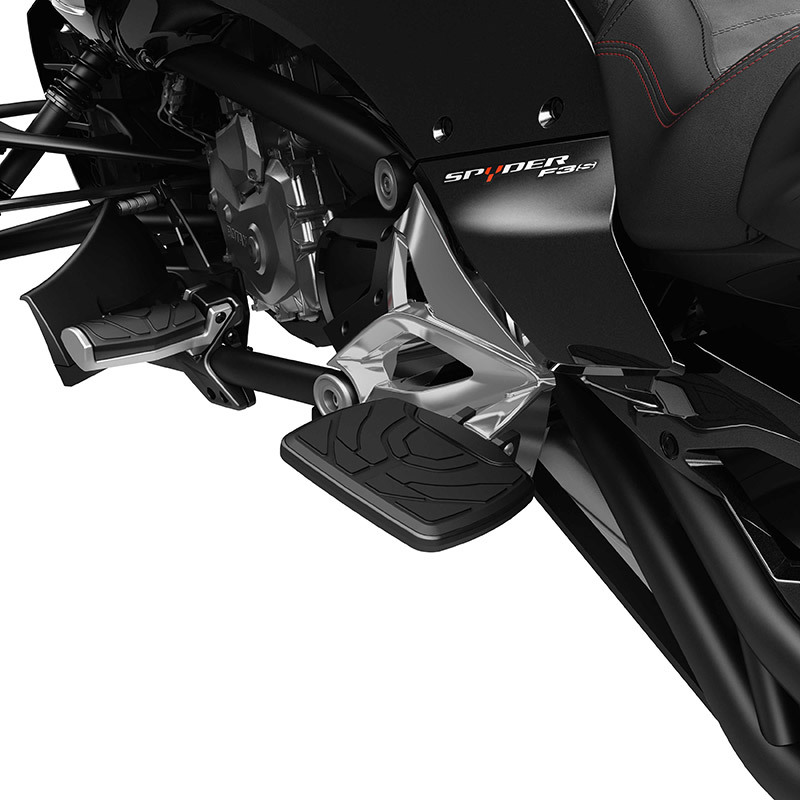 On your Spyder F3, you can replace your passenger footboards for additional comfort. Replace stock pegs for additional comfort. Come with rubber pads and mounting hardware.